ACT continue to invest in the latest cutting tool technologies and services, as it is important to us that we only supply the best in industry. Our latest investment is our partnership with EMUGE. Dedicated to craftsmanship, innovation and quality, EMUGE has grown continuously since it invested the spiral point tap in 1921. Numerous innovations and patents have been credited to EMUGE over the past 90+ years and that innovative spirit continues. EMUGE maintain the strictest material quality standards, operating the most advanced grinding equipment, holding the tightest manufacturing tolerances and continually investing in research and new product development. No matter the thread style, the material type or the thread designation, there is a good chance that you will find a standard product option from EMUGE. Production facilities based in Germany produce high speed steel, powdered metal and carbide taps to exacting tolerances. 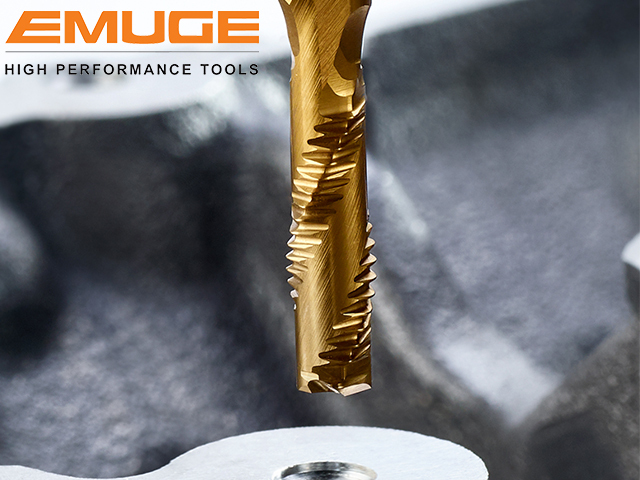 EMUGE's capabilities are enhanced with in-house PVD coating chambers which apply proprietary surface treatments that enhance the tools performance. A state-of-the-art research and development department is continually working on new innovative designs. Contact us today to find out more on the EMUGE range... 0191 438 0200.